Our Mission: To enhance the spirituality of the women of our parish and community. Join St. Mary's Christian Women for Bunco, Tuesday, April 9, 6-8pm in the Senior Center. A $5 entrance fee includes refreshments, snacks and prizes. Come with some old friends, leave with some new ones! No experience necessary. During the month of May, we as Catholics traditionally honor Mary, Queen of Heaven and Earth. To celebrate Mary’s devotion to Christ, we will once again be crowning her. May Crowning will feature special participation by our 8th graders as they take their first step in farewell to St. Mary’s, and our parish 2nd graders in recognition of their First Holy Communion. Join us the second Sunday of every month at 5pm in Church for the Family Rosary, led by St. Mary's Visitation Christian Women. 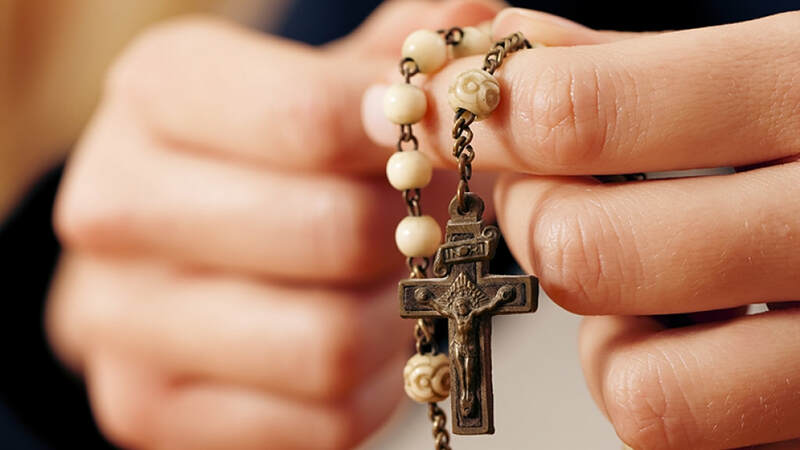 The Rosary is by its nature a prayer for peace, since it consists in the contemplation of Christ, the Prince of Peace…As a prayer for peace, the Rosary is also, and always has been, a prayer of and for the family. It is important not to lose this precious inheritance. Download a recipe form and return it to the Parish Office. Fill out a google form. Drop a picture of your recipe into this dropbox. Please contact Lynne Miller, lem125@twc.com or Jean Kelly, jeanakelly@hotmail.com with any questions. Annual membership is $15. Please make checks payable to St. Mary's Christian Women. Mail them to the parish office Attention: Christian Women.